Adams: "In the last five to 10 years designing cars has gotten a hell of a lot tougher." BRUSSELS -- Meeting Europe's tougher CO2 regulations is intensifying the pressure on the people penning vehicles. 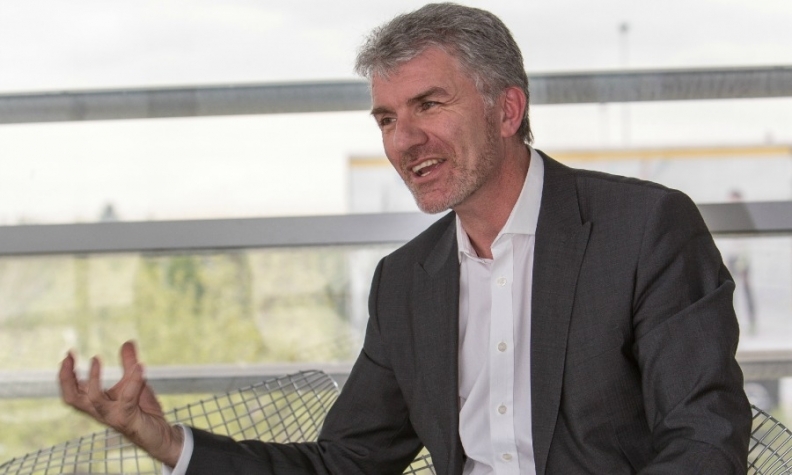 "In the last five to 10 years designing cars has gotten a hell of a lot tougher," Opel/Vauxhall design chief Mark Adams told the Automotive News Europe Congress in Brussels. Adams said the demands include improving aerodynamics and reducing weight to help Opel/Vauxhall meet the EU's tougher emissions rules. He also cited the challenge of meeting Europe's more stringent pedestrian protection rules. Instead of getting depressed, Adams tells his team to look at Formula One racing, where rules are continually changed to reduce the speed of the cars, but the teams' crafty engineers always find ways to adjust the cars to win back the lost speed, often making the vehicles even faster than before. Adams says the first models influenced by the Monza concept unveiled at last year's Frankfurt show will arrive within the next couple of years. He wants his team have the same can-do attitude when faced with the difficult regulatory challenges. He pointed to the sleek and dramatic Monza concept as an example of how Opel/Vauxhall hopes to use creative ideas to meet the tougher rules without sacrificing the beauty of the design. “The Monza is the vision for five, six, seven years ahead,” he said. The first models, however, to be directly influenced by the Monza will arrive within the next couple of years, he told the Congress on Wednesday. "I like the challenge of bringing as much of the Monza into production as I can," Adams said. Earlier this week, Opel CEO Karl-Thomas Neumann outlined his plan to become Europe's second-largest automaker by 2022. PSA/Peugeot-Citroen currently is No. 2 behind Europe's largest automaker, Volkswagen Group. To get help to No. 2, Opel/Vauxhall will launch 27 new or revised models and 17 new or revised engines between 2014 and 2018. Adams said three current Opel vehicles embody the three design values the brand wants to portray: “premium-ness” with the Insignia mid-sized sedan and wagon; sportiness with the three-door Astra GTC compact; and the “fun personality” of the Adam minicar. “Every Opel has to have these three ingredients,” he said. Adams said that Opel design is now influencing other GM brands, specifically cars from Buick, many of which are already closely related mechanically. “We have integrated sportiness into Buick, and they’re doing very well for the brand,” he said. Neumann said Opel and Buick will be more closely related in the future and will share development costs. The design of Opels will remain rooted in “German” values, Adams said. “It gives us precision, dependability and quality,” he said. 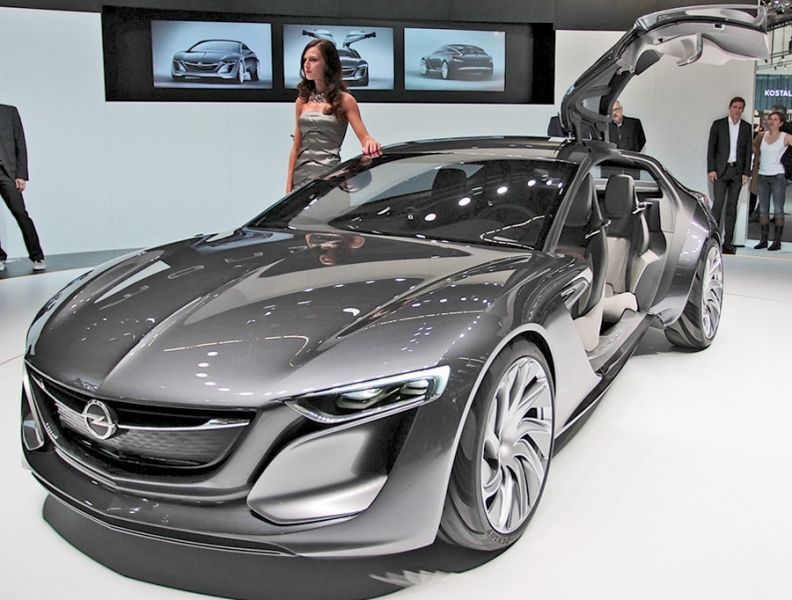 The design will be a key part of Opel’s return to profitability, promised for 2016, by making cars that people will buy.